Convert XVID to MPEG4 in three steps. You are here: CoolUtils > Total Movie Converter > Convert XVID to MPEG4 in three steps. Xvid is a video codec library and a primary competitor to the DivX Pro Codec, which, unlike Xvid, is proprietary software developed by DivX, Inc. Files saved with the help of Xvid can be played with MPlayer, VLC, ffdshow or Perian. Oftentimes users prefer to convert Xvid to MPEG4 files because the latter is more popular than the former. The easiest way to do so is download or use online xvid mpeg4 converter. The downside of such applications, however, is their limited functionality and low quality. The good thing about them is low price and popularity. Somehow, if you are the one who values high quality and functionality, you should consider downloading all-purpose video converter. Try downloading Total Movie Converter by CoolUtils to see what real quality is about. 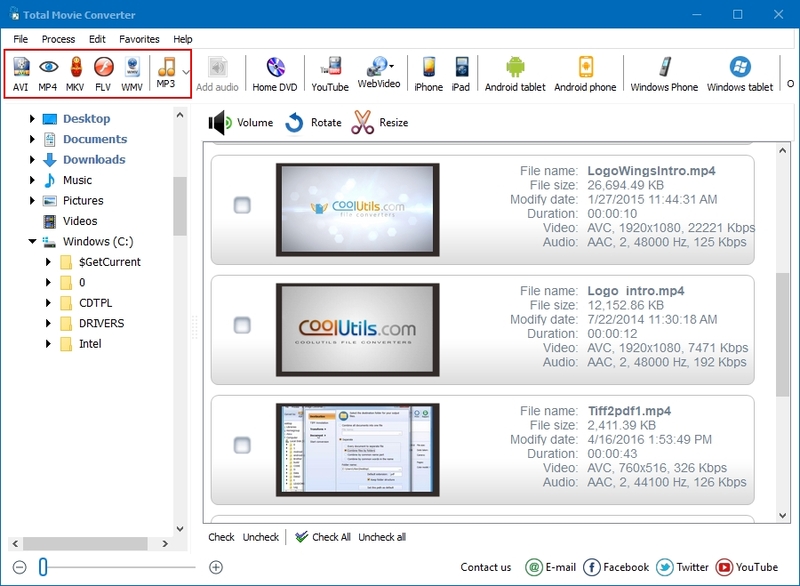 Unlike mpeg4 video converter, CoolUtils movie converter is suitable for processing of dozens of video formats. They include but are not limited to: WMV, DIVX, XVID, VOB, DV, DIF, MOV, MPG, MPEG, MPE, M1V, M2V, MPV, MPEG4, M4V, MP4, ASF, MKV, 3GP and 3G2. Affordability. There is no need to spend hundreds of dollars on expensive software. Total Movie Converter is offered by CoolUtils for less than $30. You will also be able to get updates and customer support 24 hours 7 days a week. Functionality. 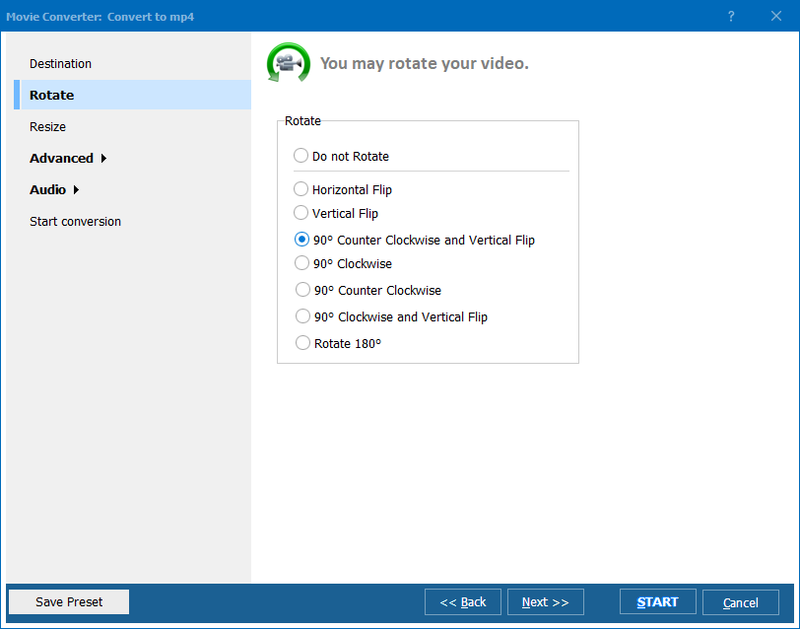 This program is very useful for people who need to not only convert videos, but also to edit them or download movies from such websites as YouTube, Vimeo, and Sevenload. Moreover, Total Movie Converter can be used to convert videos to digital devices like iPhone, iPad, HTC or Zune easily. Finally, this CoolUtils converter is great when it comes to converting video files in batches. Simplicity. Even if you have never before used video converter, you will need only a few minutes to convert XVID to MPEG4. Built-in step-by-step wizard and online how-to slideshow will help beginning users understand how CoolUtils application works. To check out Total Movie Converter for free for 1 month, download its trial version now! Convert VOB to MPEG4 to save time. It's easy.